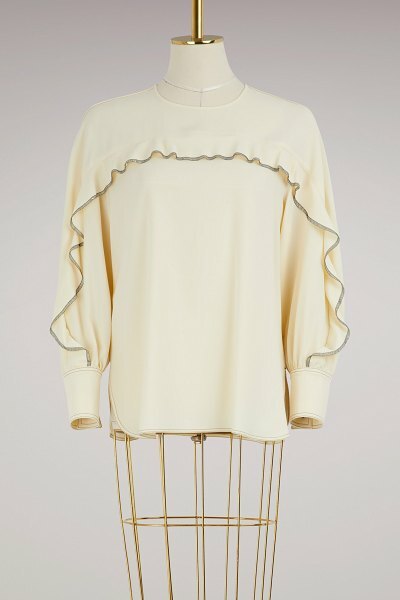 Sportmax succeeds at redesigning sportswear fashion by applying the standards of luxury. 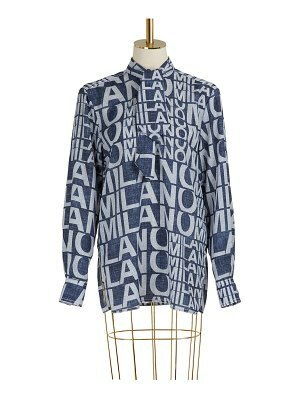 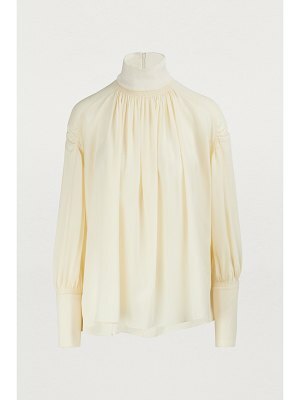 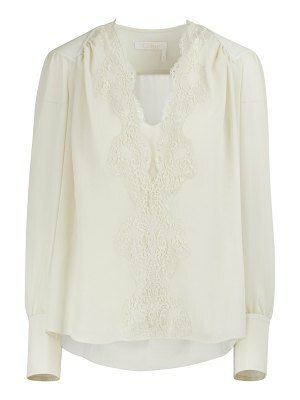 Its sophisticated wardrobe has neat, refreshing pieces, like this Avion silk top. 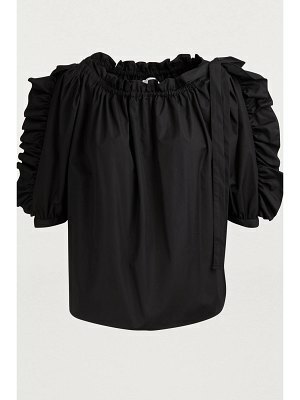 This piece features a ruffled detail on the chest and sleeves that adds volume and movement. 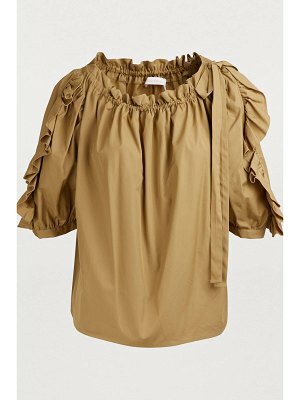 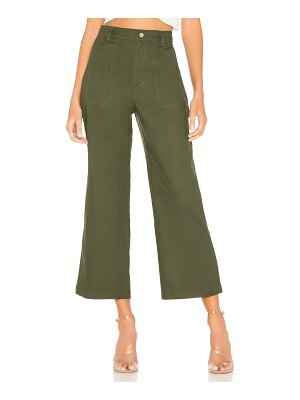 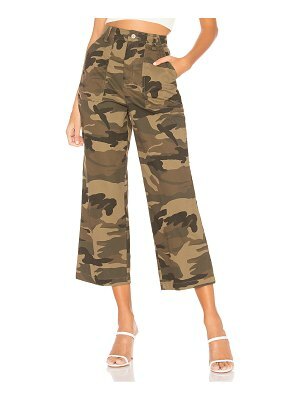 You can wear this refined top with high-waisted cigarette pants to lengthen the figure.